OVERLORD, the cross-Channel attack which hit the German occupied coast of Normandy on 6 June 1944, was one of the last and by far the biggest of the series of amphibious operations by which the United States and the British Empire came to grips with the German-Italian-Japanese Axis in the course of World War II. But it was more than just another attack. It was the supreme effort of the Western Allies in Europe-the consummation of the grand design to defeat Germany by striking directly at the heart of Hitler's Reich. One of the last attacks, it was the fruition of some of the first strategic ideas. The principles that eventually shaped OVERLORD were developed early but their application was discontinuous, interrupted by diffuse experimentation and improvisation. Neither ideas nor planning can be traced along a single line from a clear beginning to the ultimate action. OVERLORD was an Allied project. British and American planners worked together, but they also worked separately, particularly in the early years of the war. Sometimes their efforts paralleled each other; sometimes they were at cross-purposes. Within both the American and the British military establishments, furthermore, divergent opinions struggled for acceptance. The whole story of planning and preparing the cross-Channel attack is thus many stories which can be told only in terms of the planners and directors concerned, and the pragmatic organizations within which they worked. by the British. 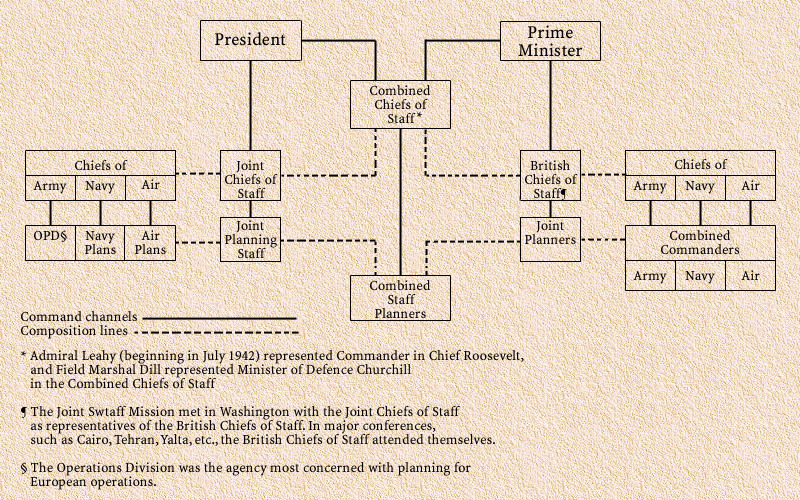 The U.S. Joint Planning Staff together with the British Joint Planners constituted the Combined Staff Planners, responsible to the Combined Chiefs of Staff.12 In theory, plans and studies of U.S. policy and strategy were to come up through joint committees to be coordinated by the Joint Planners and then submitted for approval to the Joint Chiefs. If approved, they became the official U.S. view to be placed before the Combined Chiefs for acceptance as Allied policy. British studies would develop along parallel lines. In case of important discrepancies between American and British views, the problem might be referred by the Combined Chiefs to their planning staff for adjustment. The Combined Planners, being more of a coordinating than a working body, seldom initiated planning papers. By 1943 the practice of joint and combined planning closely approximated the theory. But in early 1942 most actual planning on the U.S. side was done in the War and Navy Departments and coordination between the services was effected largely outside the formally established joint channels.13 As far as the European war was concerned, the War Department and particularly the Operations Division took the initiative in planning and General Marshall assumed personal responsibility for establishing and defending the U.S. view. To sum up, the informal military rapprochement between the United States and Great Britain which began in 1940 culminated in January 1942 with the formation of the Combined Chiefs of Staff. The Combined Chiefs were a coordinating agency at a very high level. The detailed work, not only of drawing up tactical plans but of outlining strategy, studying requirements, and testing principles against resources, was done very largely by separate U.S. and British bodies. At the strategy level, the most important in 1942 were the Joint Planning Staff and the Joint Planners for the Americans and the British respectively. On the other hand, the agencies most directly concerned with drawing up plans for European operations in 1942 were, in the United States, the Operations Division of the War Department, and, in England, the Combined Commanders. 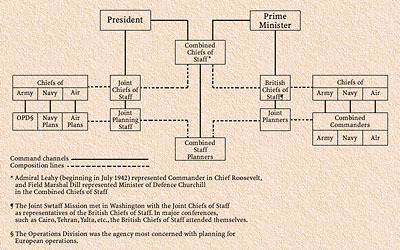 Finally, over and above all these formally constituted planning and directing bodies stood President Franklin D. Roosevelt and Prime Minister Winston S. Churchill, the ultimately responsible persons for all military decisions, who exerted a direct and vital influence on planning that cut athwart all the formal channels of cooperation. In the period before the United States entered the war, the planning of offensive operations against Germany was naturally desultory and inconclusive. In view of British weakness and aloneness on the edge of Hitler's Europe, and in view of America's jealously preserved isolation, the interesting thing is that planning took place at all. The notion of a British attack across the Channel could have had little reality and no urgency during the days when the German armies were in the flood tide of their initial victories on the Continent. Yet the British Joint Planners before the end of 1941 had drawn up an invasion plan. They called it ROUNDUP, a name suitably reflecting the concept of an operation in the final phase of the war against only token resistance. ROUNDUP was a plan for an operation with very small resources and bore little relation to the attack against Normandy in 1944. Nevertheless it was a beginning and some of its ideas persisted far into the OVERLORD planning period. The 1941 ROUNDUP was not taken very seriously and was never introduced officially into combined discussions. The immediate concern of both Americans and British was necessarily with basic strategic principles in the light of which long- range planning and production could be undertaken. The first Allied discussions of strategy took place when the war was still confined to Europe. It was clear, however, that Japan might at any time enter the conflict. In that event, if the United States was drawn into war with all three Axis members Allied military resources would be scattered and Allied strategy immensely complicated. A decision was urgently required as to where U.S. and British forces should first be concentrated. 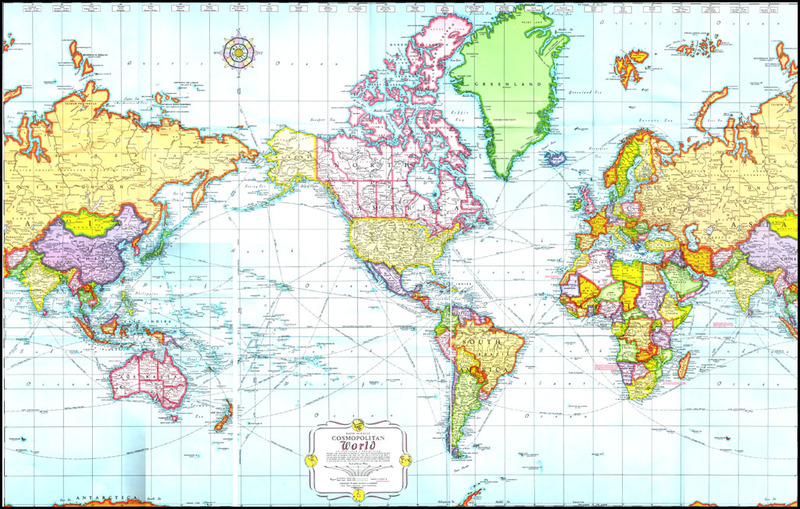 That decision was taken at the conference in early 1941 when the U.S. War and Navy Departments agreed with the British to defeat Germany first while remaining on the strategic defensive in the Pacific.19 For Great Britain geography made the choice obligatory. American concurrence was dictated by reasons less obvious but scarcely less compelling. Germany was considered the dominant Axis member whose defeat would greatly weaken the war-making power of Japan. Only against Germany could the offensive power of both the United States and Great Britain be concentrated without uncovering the British Isles. Finally, the United States, desperately short of shipping, could not at first afford long lines of communication. "Time and space factors," wrote General Marshall in reviewing the early years of the war, "dictated our strategy to a considerable degree. To land and maintain American forces in Australia required more than twice the ship tonnage for similar American forces in Europe or North Africa. "20 The decision to take the offensive first against Germany was reaffirmed at the ARCADIA Conference in Washington on 31 December 1941 after the United States entered the war. It was reaffirmed without question despite the Japanese attack on Pearl Harbor. In the very broadest sense, the groundwork for OVERLORD was thus laid. The early combined discussions tried further to explore ways and means of getting at Germany. But offensive plans necessarily remained vague so long as the needs for defense of the United Kingdom and, after Pearl Harbor, of American bases in the Pacific absorbed not only all resources on hand but the bulk of those immediately in prospect. "In 1942, the methods of wearing down Germany's resistance will be . . . ever increasing air bombardment by British and American forces . . . assistance to Russia's offensive by all available means . . . [and operations] the main object [of which] will be gaining possession of the whole North African coast.... It does not seem likely that in 1942 any large scale land offensive against Germany, except on the Russian front, will be possible . . . [but] in 1943, the way may be clear for a return to the continent across the Mediterranean, from Turkey into the Balkans, or by landings in Western Europe. Such operations will be the prelude to the final assault on Germany itself.2l"
even strategic principles were immediately at issue. The ARCADIA formula, cited above, outlined a program to which both British and American military leaders could subscribe without reservation, and it did not contradict anything in either the British Review or the American reply to it. The American protest was nevertheless significant for the future. It foreshadowed an American impatience to get on with direct offensive action as well as a belief, held quite generally in the U.S. War Department, that the war could most efficiently be won by husbanding resources for an all-out attack deliberately planned for a fixed future date. American impatience was opposed by a British note of caution; American faith in an offensive of fixed date was in contrast to British willingness to proceed one step at a time molding a course of action to the turns of military fortune. This opposition was by no means clear in 1941. It is sketched here in order to provide a vantage point for the understanding of Anglo-American strategy, and as a guide through a necessarily condensed and selective account of the debate on how to fight the war against Germany. The complex bases for American and British strategic views will appear in the course of the narrative. At the risk of oversimplification, however, it may be useful here to generalize that the prime difference between those views derived from the fact that the British, close to the scene of the war, tended to focus on the difficulties of assault, and the tactical and logistical problems involved, while the Americans, some 3,000 miles away, found it easier to start with the large view of the strategic problem. British planners were deeply and continuously conscious that to attack northwest Europe armies had to get across an ugly piece of water called the Channel, that this crossing took boats and special equipment, that when the troops landed they had to storm fortifications and fight a German Army that had all Europe by the throat. Americans were aware of these problems only at second hand and at a distance. They worked from maps. Each perspective, it should be noted, had a distinct contribution to make. If the British saw the tactical problems more clearly, the Americans were enabled to give freer rein to their imagination and to arrive at bolder offensive concepts. These views need not necessarily have been opposed. They were opposed largely because the strategic problem as it developed in early combined discussion was not one of developing and carrying out the ideally best plan for defeating Germany. It was rather a problem of tailoring an ideal strategy to the changing political and military shape of a war in which the enemy at first had the initiative. The difference of opinion as to how the tailoring should be done was called forth primarily by the cry for immediate action. The first look at the cross-Channel project discovered only a host of difficulties that seemed all but insuperable. So long as attention was focused on an attack in 1942 all plans were pervaded with the sense that to do anything at all would be to act in desperation, to accept abnormal military risks for the sake of avoiding ultimate disaster. If the view in London was more pessimistic than in Washington, that was in large part because the major risks of action in 1942 would have to be borne by the British.36 In addition the British, whose mobilization was already far advanced, were inclined to see operations through the glass of current resources which, in general, could be increased in one category only by reduction in another. The United States, on the other hand, even while struggling desperately to build up the stocks needed for defense in the Pacific, was still continuously aware of its huge potential resources. Although it was recognized that in 1942 American military power would only begin to make itself felt, plans even for that year reflected the Americans' basic optimism and recommended risks far greater than the British considered accepting. It was in looking further ahead, however, that the American optimistic view made its chief contribution to strategy. Until mid-March, plans for 1942 had been considered without specific reference to long-range objectives. Except for the determination to attack in Europe, there were no specific long-range objectives. The general principles agreed to at ARCADIA did not form a concerted plan of action. The War Department and General Marshall were convinced that the main U. S.-British ground offensive should be undertaken against northwest Europe. They rejected the Mediterranean areas suggested by Roosevelt because commitment of U. S. troops there would be strategically defensive. Although the conquest of North Africa would break Axis control of the Mediterranean and prevent an Axis move through West Africa, the victory would not in itself be decisive and could not be exploited for further decisive action against Germany. The main attack in the spring of 1943 was planned to employ 48 divisions supported by 5,800 combat aircraft. Landings would take place between Etretat north of Le Havre and Cap Gris Nez with the object of seizing the lower valley of the Somme and the high ground forming the watersheds of the Seine-Somme river system. Two main assaults were planned, on either side of the mouth of the Somme. The bridgeheads would be expanded to the southwest in order to seize Le Havre and the line of the Seine River. Although U.S. planners made use of some detailed data on terrain and estimates of the enemy, they did not attempt to examine tactical problems even to the extent that British planners had studied them in working on SLEDGEHAMMER. The main purpose of the Marshall Memorandum was to pin down a strategic idea sufficiently so that production, training, and troop allocations and movement could be "coordinated to a single end." There was time for planning, but none for delaying the basic decision. For example, it was pointed out that under current production schedules only 10 percent of the tank landing craft required to carry U.S. troops in the assault would be available. Only a decision now could insure the required resources in time. The Marshall Memorandum shifted emphasis from 1942 to 1943 while retaining for 1942 some activity which might satisfy political requirements. In the event that an operation should be required in 1942 to save the Russians or take advantage of sudden German deterioration, preparations were to be made to permit a cross-Channel assault on greatly reduced scale in the fall of the year. The maximum U.S. forces which could be on hand for such an assault were three and a half divisions, and the operation would be justified only by prospects of marked deterioration of the German army in the west. the emergency operation and accepted only the operation of opportunity.47 The opinion was in notable contrast to the U.S. Army view that a 1942 operation would be justified by the need for helping Russia in the war so that "an opportunity would be presented to us of defeating Germany next spring. "48 The point, however, was not argued, and the whole problem of a 1942 operation was returned to the planners for further study. nations would march ahead together in a noble brotherhood of arms." In view of the new principle that SLEDGEHAMMER would take place only under conditions of marked German deterioration, planners now turned away from the uninviting prospect of a Pas-de-Calais assault. Air cover, they argued, would be less essential if the Germans were on the point of collapse and it therefore might pay to look farther afield for an assault area containing a major port. They selected the Cherbourg and Le Havre areas, preferring the latter because it contained more airfields. Churchill was informed of this obstacle he replied, as one planner observed, in the manner of King Canute: he did not accept it.61 Investigation should be made, he continued, into the use of floating piers and other devices to speed the landings. This observation, important for the future, had no immediate issue, for the Prime Minister had also put forward and secured War Cabinet approval of a principle that, in effect, threw out the whole SLEDGEHAMMER idea. The principle was that "there should be no substantial landing in France unless we intended to remain. "62 All planning to date had concluded that, whatever might be done in 1942, the establishment of a permanent bridgehead on the Continent was beyond British resources. Churchill was dissatisfied with the planners' caution. He retorted with a memorandum of his own sketching an operation with "qualities of magnitude, simultaneity and violence," and involving six landings by at least ten armored brigades in the first wave, and the debarkation of 400,000 men in the first week. If in fourteen days, he wrote, "700,000 men are ashore, if air supremacy has been gained, if the enemy is in considerable confusion, and if we held at least four workable ports, we shall have got our claws well into the job. "66 Churchill's object in sketching his impression of ROUNDUP in such terms was to give an idea of the "scale and spirit" which he felt necessary if the undertaking was to have "good prospects of success." In reality, however, his concept required resources which seemed so far beyond reach that planners could not regard it seriously. They did not alter their view that ROUNDUP could go in only against a weakened enemy. for immediate action. In any case, other pressures built up after Molotov left Washington. 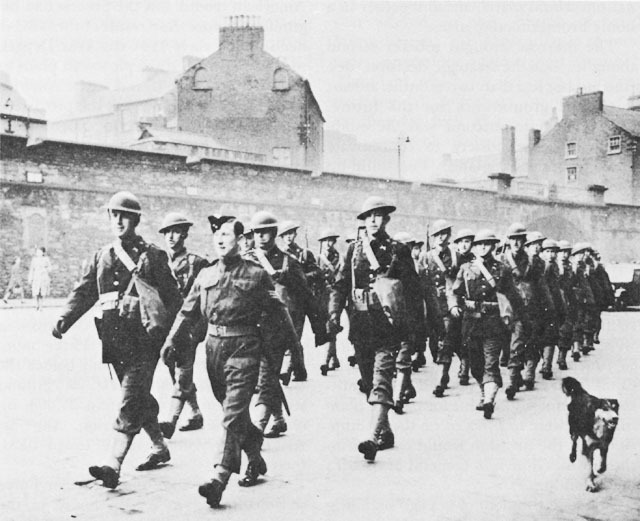 June 1942 marked the low ebb of British military fortunes. On the 13th, Generalfeldmarschall Erwin Rommel at Knightsbridge in Libya defeated British armored forces in the last of a series of battles which had started 27 May. The British army retreated across the Egyptian border to El Alamein. On Sunday, 21 June, British and Dominion troops, isolated in Tobruk by the withdrawal, were forced to surrender. The rest of the army dug in at El Alamein for the defense of Alexandria. The pressure was very great on Allied leaders to act at once wherever such action promised any fair chance of success. The pressure to act, moreover, coincided with an improved opportunity. Two decisive naval victories over the Japanese in May and June (Coral Sea and Midway) had relieved the immediate threat to Australia, and defensive requirements in the Pacific were thus no longer a sword of Damocles hanging over plans for European operations. have definitely decided to send you, King and Harry to London immediately.... I want you to know that I do not approve the Pacific proposal. "90 In conversation with Marshall the next morning in Washington, Roosevelt called the proposal "something of a red herring" and was concerned lest it appear that "we had proposed what amounted to abandonment of the British. "91 General Marshall did not think so, but in any case the matter was dropped. urgency of SLEDGEHAMMER. Might it not be argued that ROUNDUP depended only on what the Russians did, and not on what the Western Allies might do? He wondered whether the ROUNDUP concept need be confined to an attack on the western seaboard of France. He then discussed the value of invading North Africa and suggested that if the battle for Egypt went well it might be possible to attack even Sicily or Italy.94 In a written review the next day the Prime Minister made his own conclusions clear, at least by implication. There were two main facts to be recognized, he believed: first, the immense power of the German military machine, which even without a defeat of Russia could still shift to the defensive in the east and move fifty or sixty divisions to France; second, the race in the west between attrition of Allied shipping and development of Allied air power. "It might be true to say," he wrote, "that the issue of the war depends on whether Hitler's U-boat attack on Allied tonnage or the increase and application of Allied air power, reach their full fruition first. "95 Emphasis on these two facts as the key to strategy meant postponing decisive land operations against Germany while carrying out a preliminary policy of attrition, chiefly through an increasing air offensive. ROUNDUP planning came virtually to a standstill. President Roosevelt's decision to go ahead with TORCH113 meant the indefinite postponement of ROUNDUP. That much was clear. It was not clear what effect the decision would have on grand strategy. The April agreements had provided for a concentration on BOLERO in preparation for ROUNDUP in 1943. The July agreement rejected the principle of concentration and accepted instead a "defensive, encircling line of action." Regarding those two notions as contradictory, the U.S. Chiefs of Staff felt that strategy had been overturned. The British Chiefs of Staff, on the other hand, recalled the earlier ARCADIA principles which had emphasized preparatory operations (including attacks through the Mediterranean) in 1942 before the main attack across the Channel. The TORCH decision was clearly not at odds with those principles. Acceptance of "defensive, encircling action," they believed, meant only recognition of the need for a longer prelude to the final assault. They characterized the U.S. interpretation as heresy and were alarmed lest it take root.114 But that it should take root was inevitable. For the U.S. Chiefs of Staff, under constant pressure to get on with the war against Japan, any delay and, more particularly, any uncertainty in the mounting of the decisive attack on northwest Europe inevitably unsettled the whole program for waging the war. Moreover, the connection between TORCH and an eventual ROUNDUP was at best indirect. If a North African invasion might be regarded, in the long run, as preparatory to a cross-Channel attack, the immediate relationship between TORCH and ROUNDUP would be competitive. Instead of building up forces in the United Kingdom, TORCH, if successful, would concentrate them in the Mediterranean. What then would be the next step? Lack of a long-range plan was particularly awkward for the United States in 1942 when mobilization was just getting started. The Army was in process of formation. Deployment had only just begun. Expanding productive capacity still had to be directed in accordance with priorities established to fit special military needs at least a year in advance; U.S. planners, studying the decisions of the London Conference, concluded that while they evidently abrogated the strategy implicit in the Marshall Memorandum of April they did not formulate any new strategy. all seriousness. Discussion of it centered largely upon the deployment of aircraft. reserve.124 They were as far as ever from knowing what Anglo-American strategy was to be. Although the Joint Chiefs did not agree on how far the BOLERO strategy had been or should be modified to step up the war in the Pacific, they were clearly pressing for some modification. Even before the TORCH decision, the concept of the "strategic defensive" in the Pacific had been defined to include "limited offensive operations. "125 That definition was not at once accepted by the Combined Chiefs, but in the middle of August they did agree to a strategic hypothesis126 which for purposes of troop deployment assumed that by April 1944 there would be "an augmentation of forces in the Pacific by a readjustment of United States commitments in the European Theater . . . in order to further offensive operations against Japan." In context, however, this provision remained at least as vague as the earlier agreements. The same hypothesis also assumed that in 1944 preparations would continue for an invasion of the Continent as well as for deception purposes and in order to take advantage of a "favorable opportunity or emergency." Finally it was assumed also that North Africa in 1944 would be occupied by the Allies and "intensified operations" would be "conducted therefrom." In December 1942 Handy's views were echoed in a new strategic concept drawn up by a new committee, the Joint Strategic Survey Committee (JSSC)--a body of three senior officers whose sole job was to maintain a large perspective on the major problems of combined direction of the war and advise the Joint Chiefs on matters of policy.131 The first task of the JSSC was to recommend to the Joint Chiefs a course of action for 1943. It was high time that such a course was settled. The North African invasion, launched on 8 November, met almost immediate success and raised with new urgency the question which the July decisions had left unanswered: What next? eventually, the Allies were not yet ready to attack the Continental fortress. "To make a fruitless assault before the time is ripe would be disastrous to ourselves, of no assistance to Russia and devastating to the morale of occupied Europe." Even a maximum concentration on building up for a cross-Channel attack in 1943 would assemble only about twenty-five divisions in the United Kingdom by late summer, as compared to the original estimated requirement in the Marshall Memorandum of forty-eight divisions. In contrast to the unattractive prospect of a shoestring operation across the Channel, the British Chiefs of Staff sketched the rewards of pursuing operations in the Mediterranean. "If we force Italy out of the war and the Germans try to maintain their line in Russia at its present length, we estimate that they will be some 4 divisions and 2,200 aircraft short of what they need on all fronts . . ." The operations they had immediately in mind were the invasion of either Sardinia or Sicily. But their plans for the Mediterranean did not stop there. Following Italian collapse the next step would be the Balkans, although it was not clear just what action would be possible in that area. In the meantime, while concentrating offensive action in the Mediterranean, the British Chiefs wanted the United States to build up an air force of 3,000 heavy and medium bombers in England and also continue to send ground divisions. They believed that, without prejudice to other operations, the build-up in the United Kingdom could reach twenty-one divisions by the fall of 1943-a force sufficient to effect a re-entry into the Continent under favorable conditions. As for the Pacific the British approved operations to reopen the Burma Road, but they did not want any other expansion of the war against Japan. The reasons for tackling Germany first, they wrote, were still sound. 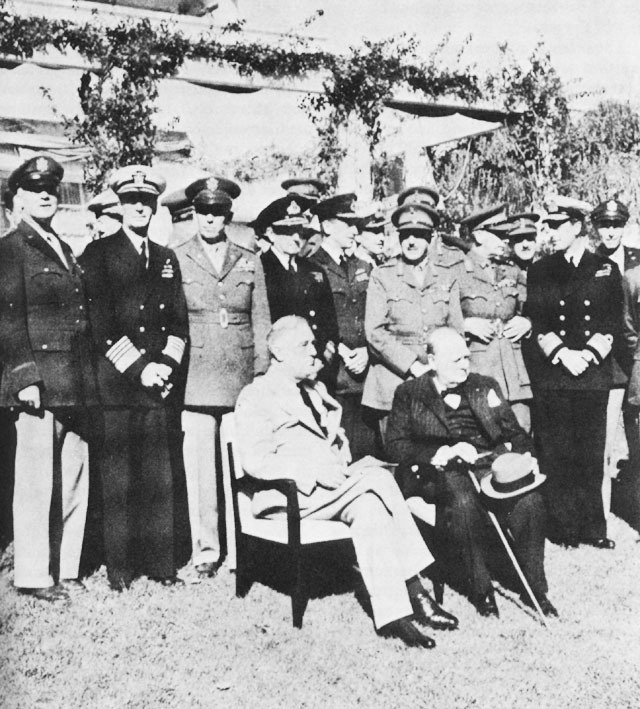 When the Casablanca Conference opened on 12 January 1943 the Allies for the first time felt themselves able to choose the time and place for carrying the war to the enemy. Rommel had been decisively beaten in North Africa. Although the fighting in Tunisia continued, it was clearly only a matter of time before the entire North African shore would be cleared. The Russians were already on the offensive after stopping the Germans in Stalingrad. Generaloberst Friedrich Paulus with more than 250,000 Germans was encircled and helpless before the city; the attempt to relieve him had failed. In the meantime the Russians had launched two other offensives to clear the Don Basin. In the Pacific, Japanese expansion had definitely been checked. The land and sea battles of Guadalcanal had both been won, although in January the island was still not entirely cleared. In the six months since the dark days of July Allied chances for victory had improved remarkably throughout the world. CASABLANCA CONFERENCE. 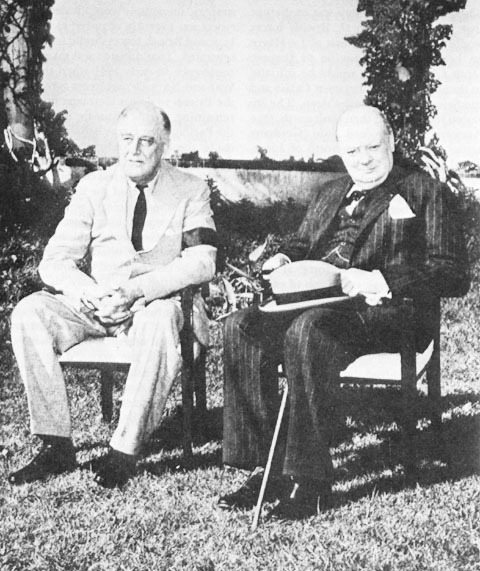 Seated: President Roosevelt and Prime Minister Churchill. Standing, front row, left to right: General Arnold, Admiral King, General Marshall, Admiral Pound, Air Chief Marshal Portal, General Brooke, Field Marshal Dill, and Admiral Mountbatten. The other great weakness in the Allied position was a paucity of resources. Despite the large war potential of the United States, the troops, shipping, supplies, and material actually on hand at the beginning of 1943 were sufficient only for relatively small-scale offensive operations in one theater. The major strategic question before the Combined Chiefs of Staff at Casablanca was where and when these slender resources could be committed to make the maximum contribution to the defeat of Germany. The basic issue was similar to the problem faced in July: granting that the ultimate aim was to strike the decisive blow at Germany across the Channel, could such a blow be struck in 1943? Put another way the question was: if the prospects for a successful ROUNDUP in the summer were dubious, was it not better to concentrate on the Mediterranean where immediate operations offering a good chance of success were possible? It was not, however, obvious to General Marshall. He felt that there was a danger of fighting the war on a day-to-day opportunistic basis, of taking a series of uncoordinated steps promoted by immediate tactical considerations without considering the over-all strategy by which the Germans could be defeated most efficiently and in the shortest possible time. Granted that the victory in Africa opened the way for exploitation in the Mediterranean, the question still had to be asked how such exploitation would fit into "the main plot." Unless it could be proved to fit somewhere and constitute, moreover, the best means of advancing the plot at that time, it should not be undertaken no matter how tempting was the prospect of an easy military victory. picture." He contended that with limited resources the Allies could not expect to engage any considerable portion of the German land forces. The forty-four German divisions estimated to be in western Europe, he said, would "overwhelm us on the ground, and perhaps hem us in with wire or concrete to such an extent that any expansion of the bridgehead would be extremely difficult. "140 The argument on the relative futility of trying to influence the course of the land battle in Europe was lent considerable cogency by Molotov's prior request to General Marshall for the commitment in "the second front" of sufficient troops to draw off forty divisions from the Eastern Front.141 This was ludicrously beyond the capacity of the Western Allies at that time. Even if a landing on the Continent were feasible, it was likely to be much more costly than an assault in the Mediterranean. The British pointed out that the rail system of France would permit the simultaneous movement of at least seven German divisions from the east to reinforce the Atlantic Wall, whereas only one division at a time could be moved from north to south to meet an Allied attack in the Mediterranean. Use of the argument also revealed that direct assistance to Russia, the dominant consideration in July, was no longer a primary concern. It was further argued that such assistance could not be given. ROUNDUP preparations could not be completed before the middle of August; it was more likely that the operation could not be mounted before early autumn. In that case, it would not support the Russian summer campaign. Finally, it was unlikely that the relatively small force which the Allies could put on the Continent would require the Germans to shift troops to defeat it. For the same reason it was doubtful whether even the German Luftwaffe could be brought to decisive battle. In sum, the argument was that ROUNDUP in 1943 would do no good and would invite disaster. country as a base from which to attack the Romanian oil fields and open the Black Sea route to Russia. They did not contemplate the use of Turkish troops in attacking outside of Turkey. The British arguments in favor of the Mediterranean as the scene for 1943 attacks were, from a tactical standpoint, convincing enough, but they did not meet Marshall's objections that the Mediterranean could not be considered the main arena for meeting and fighting German military might. The Americans believed and consistently maintained that Germany's defeat "could only be effected by direct military action,"143 and that that action must be directed against the main body of the German Army in the west. The British thought Germany might be defeated primarily by destroying the enemy's will to resist through air attack and encirclement. They reasoned that "Germany's will to fight depended largely on her confidence in ultimate success. "144 Repeated victories by Russia and the Western Allies, even if on the perimeter of the German Lebensraum, would make Germany "realize that the prospects were hopeless." If despite that realization the Germans still refused to surrender, then direct attack from the west would be employed to deal the deciding blow. However, having drawn this line between strategy and expediency, the U.S. Chiefs of Staff then agreed that circumstances made a Mediterranean operation expedient. After some discussion the Combined Chiefs decided that, as between the two possible invasions (Sardinia or Sicily), Sicily was the more profitable attack with the resources available. To this Air Chief Marshal Portal significantly replied that it was impossible to say where they should stop in the Mediterranean since the object was to knock out Italy altogether. The difference of opinion had not been resolved. It had only been temporarily abated for the sake of arriving at a vital decision to maintain the momentum of the war against Germany. The question of how to proceed against Germany was posed at Casablanca in the context of the global war. While devoting all possible energy and resources to defeating Germany, it was clear that the Allies could not afford simply to turn their backs on Japan. It has already been pointed out that the U.S. Chiefs of Staff since July had veered toward a decision to increase substantially the effort in the Pacific. They spelled out their new point of view to the British for the first time at Casablanca. The United States desired to maintain pressure against the Japanese, General Marshall told the British Chiefs of Staff, in order to forestall another "series of crises," which had wrecked offensive plans in the early part of 1942.148 Maintaining pressure, of course, meant mounting attacks. Admiral King estimated that the attacks considered necessary would require roughly double the current U.S. forces in the Pacific. There was a danger, he pointed out, that without a great effort to assist Generalissimo Chiang Kai-shek China might pull out of the war. General Marshall added that helping China carry the fight against Japan "might have a most favorable effect on Stalin. "149 The U.S. Chiefs of Staff therefore especially recommended pushing operations in Burma. The British at last yielded the point. They had already agreed to operations in Burma to open the road to China. They now approved plans to mount both overland and amphibious attacks against the Japanese in Burma during 1943. They further agreed to the seizure of Rabaul and reserved decision on a proposed attack against Truk. staff that would write the OVERLORD plan and then become the nucleus of the supreme headquarters that carried it out. As an outline of a strategic concept for the guidance of planning, these decisions were not much clearer than the decisions of July 1942. Certainly the extent of commitment to an eventual cross-Channel operation was no more specific. But in providing for the establishment of a planning staff and in agreeing to push the BOLERO build-up despite continuing operations in the Mediterranean, Casablanca had, in fact, laid the groundwork for OVERLORD. During the next six months, planning and preparations in the United Kingdom would of themselves clear much of the academic mist from the face of the cross-Channel project and convert it from a map problem into a plan of action for which the necessary men and material were on hand or in prospect. And this would happen while the debate on strategy continued through a series of compromise decisions scarcely firmer than those with which the Casablanca Conference closed. Administrative History of U.S. Naval Forces in Europe, 1940-1946, MS, pp. 2ff. Hist Div files See Bibliographical Note. Ibid. ; [Henry G. Elliott], The Predecessor Commands: SPOBS and USAFBI (The Administrative and Logistical History of the ETO Part I), MS, pp. 23-24. Hist Div files. Elliott, The Predecessor Commands, pp. 2, 25. Brief of ABC-1 Conversations. Pre-Inv file 308. See Bibliographical Note. U.S. ABC-4/CS-4, 14 Jan 42. OPD files, ARCADIA Conf Bk. CCS 9/1, War Collaboration Between United Nations. Approved at CCS 4th Mtg, 10 Feb 42. See Bibliographical Note for location and nature of CCS documents. The only interservice directorate previously existing was the Joint Board founded 17 July 1903. The Joint Board, charged with coordinating all matters of joint interest to the services, consisted in 1942 of four Navy and four Army members: for the Army, the Chief of Staff, the Deputy Chief of Staff, the Deputy Chief of Staff for Air, and the Director of the War Plans Division; for the Navy, the Chief of Naval Operations, the Assistant Chief of Naval Operations, the Chief of the Bureau of Naval Aeronautics, and the Director of the War Plans Division of the Office of Naval Operations. The Joint Board was primarily concerned with administrative matters and doctrine. It continued to exist after the establishment of the Joint Chiefs although its duties and importance dwindled. It was finally abolished by executive order in August 1947. Admiral King, Annapolis graduate of 1901, served during World War I as Assistant Chief of Staff to the Commander in Chief, U.S. Atlantic Fleet, winning the Navy Cross. In 1937 he moved into the group controlling broad naval operations and was, successively, a member of the General Board of the Navy, Commander of the U.S. Fleet Patrol Force, and, with the rank of admiral, Commander in Chief of the Atlantic Fleet. He assumed command of the U.S. Fleet in December 1941. Admiral Stark, Annapolis graduate of 1903, had commanded a destroyer squadron in active service against submarines in the Mediterranean and the Atlantic in World War I, later serving on the staff of the Commander, U.S. Naval Force Operating in European Waters. He was made Chief of the Bureau of Ordnance in 1934 and four years later became Commander, Cruisers, Battle Force. The following year, 1939, he was promoted to full admiral and assumed his post of Chief of Naval Operations. The Joint Staff Mission superseded the earlier British Military Mission in May 1941. Changes in personnel up to 1944 were: Chief of the British Army Staff-Lt. Gen. Sir Colville Wemyss (to March 1942), Maj. Gen. R. H. Dewing (March-June 1942), Lt. Gen. G. N. Macready; Chief of the British Admiralty Delegation-Admiral Sir Charles Little (to June 1942), Admiral Sir Andrew Cunningham (June-December 1942), Admiral Sir Percy Noble; Chief of the British Air Staff-Air Marshal A. T. Harris (to February 1942), Air Marshal D. C. S. Evill (February 1942 June 1943), Air Marshal Sir William Walsh. Field Marshal Dill, Sandhurst graduate and Boer War veteran, was Field Marshal Haig's Brigadier General, Operations, during the last Hundred Days before the 1918 Armistice. He served on the General Staff in India, was Director of Military Operations and Intelligence in the War Office, commanded two divisions in Palatine during the Arab rebellion, and was Commander-in-Chief at Aldershot. As Chief of the Imperial General Staff from May 1940 through 1941, he was responsible for the reinforcement of the British armies in Egypt and the Middle East and for the decision to send British troops to Greece. Promoted to field marshal in December 1941, he was sent to Washington a Head of the British Joint Staff Mission and senior British member of the Combined Chiefs of Staff. Long after the Joint Chief of Staff had become an accepted functioning organization an attempt was made to give them a written charter. But it was discovered that definitions of authority at such high levels tended to confuse rather than clarify the positions of responsibility and trust established by intimate personal relationships. The attempted definition was rejected by President Roosevelt, and the corporate existence of the Joint Chiefs of Staff continued to stem from the Combined Chiefs of Staff charter. Admiral Leahy, Annapolis graduate in the class of 1897, saw active war service against the Spanish Fleet in Santiago Harbor, in the Philippine Insurrection, and in the Boxer Uprising. During World War I, he served aboard ships of the line and also commanded a troop transport, winning the Navy Cross. He assumed command of the New Mexico in 1926 and in 1933 was made Chief of the Bureau of Navigation. Four years later (then an admiral), he became Chief of Naval Operations. In 1939, retired from the service, he was appointed governor of Puerto Rico. The following year he went to France as U.S. Ambassador. It was from this post that he was recalled to active duty by the President in 1942. Group Capt. S. C. Strafford (RAF). U.S. planning organization and techniques are considered at length in Ray S. Cline, Washington Command Post: The Operations Division, a volume now under preparation in this series. Mountbatten, who entered the Royal Navy in 1913, served at sea during World War I, for the last two years as a midshipman. After specializing in communications, he was assigned as Mediterranean Fleet Wireless Officer in 1931. Then followed assignments as commander of the Daring, the Wishart and, in 1939, the Kelly and the 5th Destroyer Flotilla in Mediterranean operations. He came to Combined Operations Headquarters after commanding the Illustrious. Paper by Lt. Col. Paddy Corbett, The Evolution and Development of Amphibious Technique and Material, read before British Staff College, Camberly, England, May 45. Hist Div files. General Paget, winner of the Distinguished Service Order and Military Cross in World War I, entered the British Army in 1907. As commander of the 18th Division in 1939 in operation in Norway, he successfully engineered its evacuation. He was promoted to lieutenant general and in 1940 was appointed Chief of General Staff, Home Forces, holding this position until he assumed command of the Home Forces in 1942. 21 A Gp, Note on the History of Planning for Operations in Northwest Europe, 30 Dec 4. Hist Div files. Jp (41) 1028, 24 Dec 41. CCS file, CCS 381 (3-242), par. I. This was the minimal version of the plan. An earlier version, JP (41) 823 (0) Draft, was dated 9 Oct 41; no copy has been located among Dept. of the Army records. 1 Brief of ABC-I Conv. See n. 4. George C. Marshall, Biennial Report of the Chief of Staff of the United States Army, July 1, 1941, to June 30, 1943 (Washington, 1943), p. 10. U.S. ABC-4/CS 1 Dec 41. ARCADIA Conf Bk. Joint Planning Committee Rpt, General Strategy-Review by the British Chiefs of Staff, 25 Sep 41, JB 25, ser 729. OPD file. ROUNDUP Plan cited n. 18. American Liaison (41) 8th Mtg, 21 Nov 41. Navy Dept files, Ghormley Papers. Full treatment of the GYMNAST-TORCH project will be found in George F. Howe, Operations in Northwest Africa, a volume now under preparation in this series. (Marshall) Notes of Meeting at the White House with the President and the British Prime Minister Presiding-5:00 P.M. (Dictated from rough notes), 23 Dec 41. C/S file 384 (Mtgs and Confs) . See Bibliographical Note. CCS 11th Mtg, 10 Mar 42. JCS 23. Annex C. 14 Mar 42. This paper is actually a composite of directives and deployment studies dating back to 30 January 1942. See Bibliographical Note for location and nature of JCS documents. Memo for CofS, 28 Feb 42. (Italics in the original.) OPD files, exec 4, env 85. JCS 23, App. II, JPS 2/6, 5 Mar 42. Capt M. McLaren, eg to Combined Commanders, Note on the History of SLEDGEHAMMER, Sep 42. Hist Div files. The Pas-de-Calais actually was the name of a department in the center of the coast considered for invasion. But the name was used by the planner, and will here be used, in the looser sense of the coast line washed by the Strait of Dover between Dunkerque and the Somme. Memo, Brig C. V. McNabb, SLEDGEHAMMER, 17 Jul 42. SHAEF G-3 file, Ref Lib Gp D. See Bibliographical Note. The British term "maintenance" is generally equivalent to U.S. "supply." McLaren, Note on SLEDGEHAMMER, cited n. 31. This was freely admitted by General Marshall. Draft Memo, Marshall for Roosevelt, The Pacific Theater versus BOLERO, undated (sent to the President 6 May). OPD file 381 gen sec. 2, case 62. See Bibliographical Note. Cf. below, p. 30. Cbl, Roosevelt to Churchill, 9 Mar 42. OPD file ABC 311.5 (1-30-42) . The first memorandum was submitted by OPD on 27 March. The last draft bearing a date was prepared on 2 April. This was revised by General Eisenhower and the revision constituted the memorandum as finally presented to the British. This final version is undated and titled simply "Operations in Western Europe." Additional studies were made after 2 April an analysis of U.S. troop build-up being dated as late as 6 April. For the final version and various drafts and appendixes see Pre-Invasion file 308. Copy of the original OPD memo is in AAF file 381, War Plan Sec. G. See Bibliographical Note. Discussion following is based on the memorandum plan and its appendixes. Actually it was noted that, if only U.S. shipping was available for U.S. troop and supply build-up, the invasion date would be delayed until late summer. By 1 April, it was estimated, U.S. shipping could transport only 40 percent of the forces required. Memo, Operations in Western Europe, cited n. 38. British Chiefs of Staff, Comments on General Marshall's Memorandum, 13 Apr 42. COS (42) 97 (O). C/S file 381. COS (42) 23d Mtg (0), 9 Apr 42. OPD file ABC 381 BOLERO (3-16-42) sec. 5. Ibid. General Brooke, a graduate of the Royal Military Academy, Woolwich, had by 1941 acquired the reputation of being Britain's greatest expert on mechanization. For his service in France during World War I, he received the Distinguished Service Order with Bar, the Belgian Croix de Guerre, and six mentions in dispatches. In the early part of World War II, he commanded the British Second Army Corps, his defensive action making possible the evacuation of Dunkerque. He then organized and trained the British Home Forces in preparation for the expected Nazi invasion. He was made Chief of the Imperial General Staff in 1941, succeeding Field Marshal Dill. Portal, an observer and fighter pilot in World War I, entered the RAF College in 1922. In the 1930's he commanded the British forces in Aden and was Director of Organization, Air Ministry. Early in World War II, he served on the Air Council and was Air Officer Commanding-in-Chief of the Bomber Command. He became Chief of Air Staff in October 1940. COS (42) 118th Mtg, 14 Apr 42. OPD file ABC 381 BOLERO (3-16-42) sec. 5. War Cabinet Defence Com, DC (42) 10th Mtg, 14 Apr 42. C/S file 381. On quotation of indirect discourse, see n. 138. Churchill also made this reversal more explicitly a little later when he wrote: "The launching of SLEDGEHAMMER should be dependent not on a Russian failure but on Russian success and consequent proved German demoralization in the West." PM, Minute for Gen Ismay for CofS Com, 10 Jun 42, Annex to COS (42) 17th Mtg. Copy in Hist Div files. Remark by Col J. E. Hull, U.S. (P) 4th Mtg, 12 Apr 42. Pre-Inv file 287 (Combined Operations Conferences). A series of meetings was held between U.S. and British planners in the course of the April conferences in London. Memo, British Staff Planners, Main Considerations Affecting The Employment on the Continent in 1943 of the Anglo-American Forces envisaged in General Marshall's Paper, undtd. OPD file ABC 381 BOLERO (3-16-42) sec. 5. War Cabinet Mtg, 14 Apr 42, cited n. 46. JCS 23, cited n. 28. There was considerable confusion in the early use of this code name, especially in the War Department where it was taken at first to indicate not only the build-up but the cross-Channel operation for which the build-up prepared. In the early days the confusion was symptomatic of a real conceptual identity between the operations. Decisions on the BOLERO build-up reflected attitudes toward the ROUNDUP attack. Cf. Robert E. Sherwood, Roosevelt and Hopkins: an Intimate History (New York, 1948), p. 569. In general the Washington Committee dealt with basic problems of policy; the London Committee, made up of representatives of various British supply ministries and representatives of the U.S. Army, handled the more technical details of the plan. See [Herbert French] Supply and Troop Buildup in the UK (The Administrative and Logistical History of the ETO: Part III), MS. Hist Div files. Elliott, The Predecessor Commands, pp. 15, 85-95. See n. 2. General Arnold, who had become Chief of the Air Corps in 1938, was directly responsible for the expansion of the American aircraft industry and the inception of the program for civilian training of flying cadets. In 1940 he was made Deputy Chief of Staff for Air and the following year was given the additional duty of Chief, Army Air Forces. General Spaatz, a graduate of West Point in 1914 and of Aviation School in 1916, served with the First Aero Squadron of the Punitive Expedition into Mexico. During World War I, he flew in combat over St. Mihiel and Meuse-Argonne, receiving the DSC. In 1940 he was an official observer of the Battle of Britain and returned to the United States to take command, first of the Air Corps Material Division and, later, of the AAF Combat Command. Before General Eaker undertook the assignment of establishing VIII Bomber Command, he had been on special duty with the RAF in England in 1941, observing and flying new types of fighters and observing British fighter control methods. Elliott, The Predecessor Commands, pp. 130ff. See n. 2. See Wesley F. Craven and James L. Cate, eds., The Army Air Forces in World War II:I, Plans and Early Operations: January 1939 to August 1942 (Chicago, 1948), pp. 654, 655ff. See, for instance, his letter to Dill, 17 Aug 42, stating his belief that the July decisions had altered not only the strategy agreed upon in April but also the fundamental strategic agreements made at ARCADIA. C/S file TORCH I; cf. Cbl to Eisenhower, 6 Aug 42, draft in Memo, Handy for Classified MC. OPD file 381, ETO, sec. 2. Marshall wrote: "Torch operation is of necessity a substitution for Roundup and not a postponement of the same except for unexpected developments." See below, pp. 29-30. McLaren, Notes on SLEDGEHAMMER, cited n. 31. COS (42), 51st Mtg, 8 Jun 42 (0). SHAEF SGS files; cf. McLaren, Notes on SLEDGEHAMMER. The War Cabinet approved the new principle on 11 Jun 1942. Interv with Gen Barker, WD, 4 Oct 46. See Bibliographical Note. Joint Memo, Combined Commanders for Br COS, 17 Jun 42. Pre-Inv file 281, Combined Commanders Papers. Memo, Churchill for Marshall. Operation ROUNDUP 15 Jun 42. Hist Div files. Memo, The Pacific Theater versus BOLERO, cited n. 36. Proposals to reinforce Australia would have increased ground forces by 25,000 troops, air force by 100 planes. Another 215 planes were to be sent to the South Pacific. Memo, Roosevelt for Marshall, 6 May 42, OPD file 381, gen sec. 2, case 62. Memo, Roosevelt for Secy of War, CofS. Gen. Arnold, Secy of Navy, Adm King, and Hopkins, 6 May 42. C/S file 381. Notes on White House Mtg, cited in Sherwood, Roosevelt and Hopkins, p. 563. The Molotov visit is treated at length by Sherwood, pp. 544-68. JIC (92) 193 (Final), German Strength and Dispositions in 1943 under Certain Hypotheses, 21 May 42. SHAEF SGS files, Combined Commanders Papers. See CCS 27th Mtg, 19 Jun 42. Mountbatten had come to Washington earlier in the month, primarily to discuss the problems of landing craft. Ltr, 19 Jun 42, cited in Henry L. Stimson and McGeorge Bundy, On Active Service in Peace and War (New York, 1948), pp. 420-23. Memo, CCS for information, Minutes of an Informal Meeting . . . held in General Marshall's Office, June 19, 1942. OPD file ABC 381 (3-16-42) sec. 2. Stimson and Bundy, On Active Service, p. 425. Notes on War Council Mtg, 22 Jun 42. C/S file, Secy of War Confs, Vol. II. The War Council meeting at which General Marshall reported on the White House meeting was attended by the Secretary of War and Under and Assistant Secretaries as well as by Generals Arnold, McNair, Somervell, Knudsen, McNarney, Surles, and Eisenhower. Quoted in Sherwood, Roosevelt and Hopkins, p. 592. Notes on War Council Mtg, 29 Jun 42. C/S file, Secy of War Confs, Vol. II. CCS 83/1, Offensive Operations in 1942 and 1943, 24 Jan 42, Encloses memorandum by Maj. Gen. Sir Hastings Ismay reporting conclusions of a meeting held at the White House on 21 June. Ltr, Eisenhower to Marshall, 30 Jun 42. OPD file 381, ETO, sec. I.
 Diary, Office of the Commander in Chief, 5 Jul 42. Cited hereafter as Diary of CinC. See Bibliographical Note. See JCS 24th Mtg, 10 Jul 42. Draft Cbl in C/S file 381. JCS 24th Mtg, 10 Jul 42. Memo, King and Marshall for President, 10 Jul 42. C/S file BOLERO. Tel, Roosevelt to Marshall, 14 Jul 42. C/S file BOLERO. Memo, Marshall for King, 15 Jul 42. C/S file WDCSA 381 War Plans Sec. Cbl, Marshall to Eisenhower, 13 Jul 42, C/S file BOLERO. Memo, Roosevelt for Hopkins, Marshall, and King, Instructions for London Conference,-July 1942, sgd orig in C/S file 381. This memorandum was drafted by the War Department, but Roosevelt made considerable changes in it, omitting the Pacific threat, and weakening the War Department's paragraph on commitment to ROUNDUP. The War Department draft on the latter point read that if SLEDGEHAMMER were given up, then the Allies should continue "our planned activities and present commitments in other areas. We should proceed with ROUNDUP preparations." In Roosevelt's revision, these two sentences were struck out. War Department draft included in Diary of CinC. Combined Staff Conf, 20 Jul 42. C/S file 319.1. Memo, 21 Jul 42, WP (42) 311. C/S file BOLERO. Memo (prepared by Gen Eisenhower with advice of Gens Clark and Lee and Col Barker), Conclusions as to the Practicability of SLEDGEHAMMER 17 Jul 42. Diary of CinC. Ibid. Italics in original. 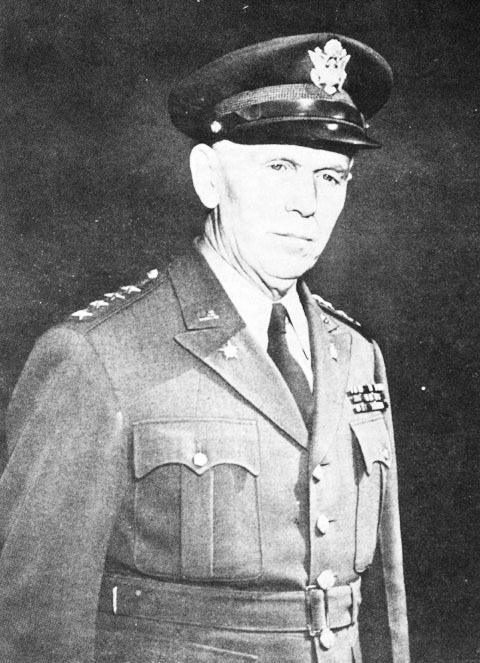 General Marshall agreed that SLEDGEHAMMER was not an operation he would choose if choice were possible. He believed, however, that choice was not possible, that "time was tragically against us." Memo for the President, 28 Jul 42. C/S file 319.1. Memo, Marshall for the President, cited n. 97. Cbl, 23 Jul L2. C/S file 381. CCS 94, Operations in 1942/3, 24 Jul 42. This paper states the decisions of the London Conference. Memo for Marshall, Survey of Strategic Situation, 23 Jul 42. Diary of CinC. CCS 94, cited n. 100. Cited in Sherwood, Roosevelt and Hopkins, p. 611. Admiral Leahy, General Arnold, and General McNarney. Cbl, 2S Jul 42. C/S file 381; Memo, Gen Deane for Admiral Willson, 25 Jul 42. C/S file WDCSA 381 War Plans Sec. Agreed at CCS 33d Mtg, 25 Jul 42. Later changed at British request in order to maintain appearance of an all-American operation and provide continuity of U.S. command in case the deputy had to take over. [Morton Yarman] TORCH and the European Theater of Operations (The Administrative and Logistical History of the ETO: Part IV), MS, p. 20. Hist Div files. General Marshall speaking at CCS 33d Mtg. This controverted an earlier (1 July) recommendation by the Combined Commanders that the ROUNDUP supreme commander also be charged with home defense of Great Britain. CC (42) 27, Notes on System of Command for Operation ROUNDUP. SHAEF SGS files, Combined Commanders Papers. At the CCS 34th meeting, 30 July, there was considerable vagueness expressed as to whether the TORCH decision had been made. Leahy and Dill "had the impression" that it had. Admiral King believed the President and Prime Minister had not yet decided to "abandon ROUNDUP in favor of TORCH." Memo, Gen W. B. Smith for JCS, Notes of a Conference Held at the White House at 8:30 P.M. July 30, 1942, 1 Aug 42. OPD files, exec 5, item 1, tab 14. General Smith reported: "The President stated very definitely that he, as Commander-in-Chief, had made the decision that TORCH would be undertaken at the earliest possible date." Cbl, JSM to Br COS, 31 Jul 42. OPD file, POD Super BOLERO, exec 1, tab 10; Memo, Marshall for WD Classified MC, Commander for TORCH, 6 Aug 42, OPD file 381, ETO, sec. 11, case 16. Yarman, TORCH, p. 18. See n. 107. The decision to do TORCH, as has been indicated, was primarily the President's, but Churchill had repeatedly taken the initiative in urging it. In April 1944 Churchill declared that he would "personally assume responsibility before God for the decision to do TORCH." See Ltr, Gen Wedemeyer to Gen Handy 13 Apr 44. OPD files, OPD Misc, bk. 18. Cbl, Br COS to JSM, 13 Aug 42. Excerpts, supplied by British Cabinet Office Hist Sec, are in Hist Div files. CCS 91, Strategic Policy and Deployment of United States and British Forces, 7 Jul 42; CCS 97, Strategic Hypothesis for Deployment of Forces in April 1944, 24 Jul 42. JCS 26th Mtg, 28 Jul 42. CCS 97/2, 8 Aug 42. See discussion in CPS (Combined Planning Staff) 28th Mtg, 7 Aug 42. OPD file ABC 370 (7-2-42). JCS 28th Mtg, 11 Aug 42. JCS 36th Mtg, 6 Oct 42. JPS 32d Mtg, 31 Aug 42. OPD file ABC 370 (7-2-42). See also notes on this meeting, 2 Sep 42. OPD file ABC 381 (9-25-41), sec. II. Memo, Arnold for Marshall, 29 Jul 42. OPD file ABC 381 (9-25-41), sec. III. See JCS 97 series which contains the gist of the running argument between General Arnold and Admiral King. For more detailed treatment of this subject see W. F. Craven and J. L. Cate, eds., The Army Air Forces in World War II:II, Europe-Torch to Pointblank, August 1942 to December 1943 (Chicago, 1949), pp. 280-82. JCS 97/5, 26 Oct 42; JCS 39th Mtg, 27 Oct 42. CCS 91, cited n. 115. This paper, however, was never approved by the Combined Chiefs. CCS 97/3, Strategic Hypothesis as to Deployment of Forces in April 1944,14 Aug 42. Approved at CCS 36th Mtg. Cbl, Eden to Halifax, quoting Cbl, Churchill to Roosevelt, 22 Sep 42. C/S file ETO. Quotation from Cbl, Roosevelt to Churchill, in Cbl, Churchill to Roosevelt, 18 Nov 42, incl in JCS 153, Plans and Operations in the Mediterranean, Middle East, and Near East. Cbl, Churchill to Roosevelt, cited n. 128. Memo, Handy for CofS, 8 Nov 42, American-British Strategy. C/S file 381. JCS 149/D, Charter of the Joint Strategic Survey Committee, 7 Nov 42. JCS 167, Basic Strategic Concept for 1943, 11 Dec 42. JCS 167/1, 20 Dec 42. The revision was done in the JCS 46th meeting. The revised paper, JCS 167/1, was submitted to the Combined Chiefs of Staff as CCS 135. CCS 135/2, American-British Strategy in 1943, 3 Jan 43. JCS 167/5, 10 Jan 43. Minutes of a Meeting at the White House on Thursday, 7 January 1943, at 1500. OPD files, POD exec 10, item 45. Samuel E. Morison, The Battle of the Atlantic, September 1939-May 1943 (History of United States Naval Operations in World War II: I) (Boston, 1947), p. 410. Over 1,770 ships were lost from all causes during the year. CCS 55th Mtg, 14 Jan 43. Bound volumes containing the official U.S. minutes of the Casablanca (SYMBOL) Conference are in the OPD files. A single copy of the British official minutes is in the SHAEF SGS files. For all combined conferences the U.S. and British minutes are identical, but the latter include, in addition, the meetings of the British Chiefs of Staff at Casablanca. Since none of the minutes were stenographic, quotations here and throughout the text reproduce only secretarial summaries and paraphrases of the speakers' words. Note by Minister of Defence, 25 Nov 42, WP (42) 543, annex to 3d Br COS Casablanca Mtg. SHAEF SGS file 337/5, British Mins of SYMBOL Conf. CCS 58th Mtg, 16 Jan 43. 1st Br COS Casablanca Mtg. See n. 138. Admiral King speaking at CCS 58th Mtg. Air Marshal Portal at CCS 58th Mtg. Marshall speaking at 2d ANFA Mtg, 18 Jan 43. The ANFA meetings were those presided over by the President and Prime Minister. CCS 60th Mtg, 18 Jan 43. CCS 56th Mtg, 14 Jan 43. CCS 155/1, Conduct of the War in 194,19 Jan 43. CCS 169, Organization of Command, Control Planning and Training for Cross-Channel Operation, 22 Jan 43. CCS 67th Mtg, 22 Jan 43. 3d ANFA Mtg, 23 Jan 43. CCS 166/1/D, The Bomber Offensive from the United Kingdom, 21 Jan 43. See below, Ch. VI. As noted above, it does not appear from the records that this was actually an important consideration. The strategic concept underlying Mediterranean operations was the much more general idea of attrition.